In Gravity stairs, visitors traverse a stairway beneath an enormous, schematic model of our solar system created through an arrangement of mirrors and lit ring segments. Visitors and stairway are both reflected in the ceiling mirror, opening up a cavernous space above that is populated by reflections of the spectators. A wall mirror duplicates the work, projecting an echo of the model onto the other side of the looking glass, with the large sun hovering between. 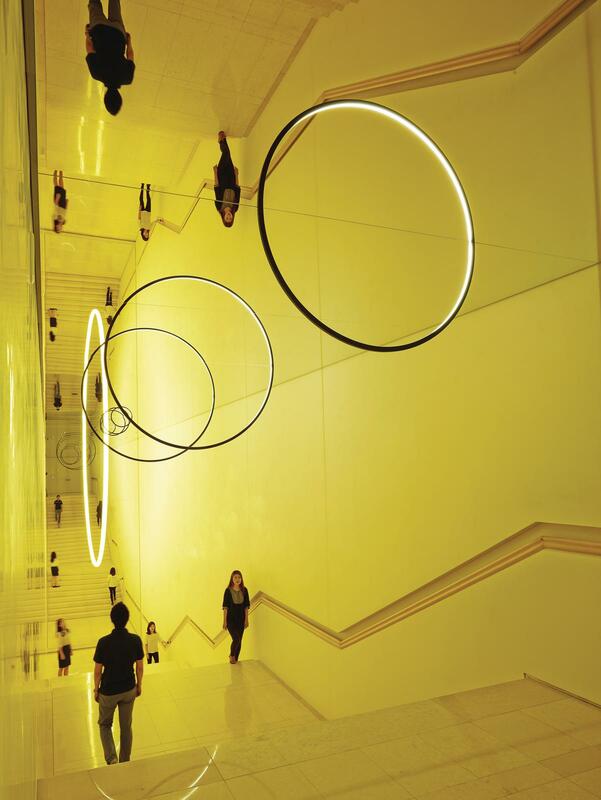 Thus, visitors to Gravity stairs encounter two sets of planets: one that bridges actual and reflected space, and another located entirely within the mirrors. 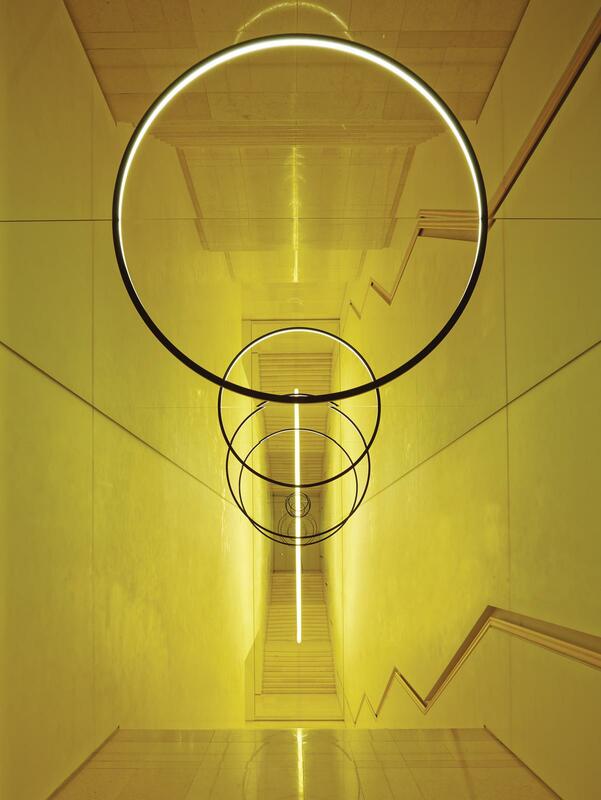 By mirroring the visitor as well as the rings, the vast reflective environment subsumes the spectator within the artwork, highlighting the unique impact achieved by her presence. In this way, the work builds upon the artist’s interest in the solar system, not as a given fact that must be accepted as such, but rather as a model capable of assuming myriad subjective forms. The work reflects the possibility for coexistence between the various, individual worldviews that we each project in toto onto our fragmented physical experience.